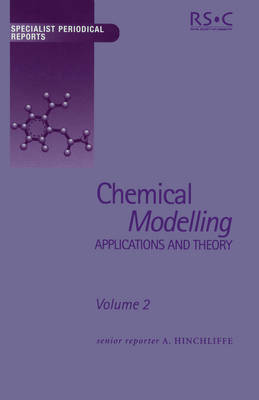 Chemical Modelling: Applications and Theory comprises critical literature reviews of molecular modelling, both theoretical and applied. Molecular modelling in this context refers to modelling the structure, properties and reactions of atoms, molecules & materials. Each chapter is compiled by experts in their fields and provides a selective review of recent literature. With chemical modelling covering such a wide range of subjects, this Specialist Periodical Report serves as the first port of call to any chemist, biochemist, materials scientist or molecular physicist needing to acquaint themselves of major developments in the area. Specialist Periodical Reports provide systematic and detailed review coverage in major areas of chemical research. Compiled by teams of leading authorities in the relevant subject areas, the series creates a unique service for the active research chemist, with regular, in-depth accounts of progress in particular fields of chemistry. Subject coverage within different volumes of a given title is similar and publication is on an annual or biennial basis. Current subject areas covered are Amino Acids, Peptides and Proteins, Carbohydrate Chemistry, Catalysis, Chemical Modelling. Applications and Theory, Electron Paramagnetic Resonance, Nuclear Magnetic Resonance, Organometallic Chemistry. Organophosphorus Chemistry, Photochemistry and Spectroscopic Properties of Inorganic and Organometallic Compounds. From time to time, the series has altered according to the fluctuating degrees of activity in the various fields, but these volumes remain a superb reference point for researchers.